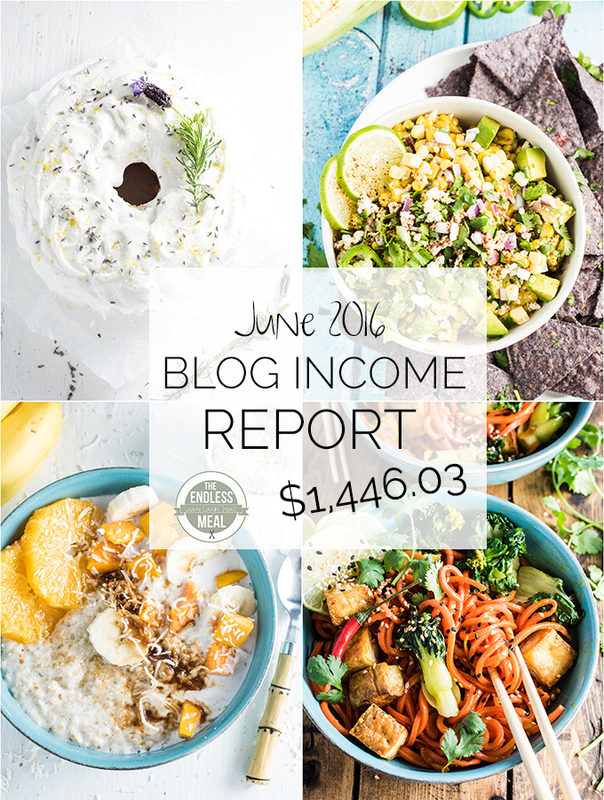 Sharing these income reports with you helps me to stay accountable for the business side of blogging. As much as I love being in the kitchen and taking pictures of everything I make, it's also exciting to analyze what's been working and not working from a traffic and monetary aspect. It's also my hope that maybe, just maybe, I'll be able to convince you to start your own blog. I absolutely love blogging and I think it would be super if you wanted to start one, too! This month I ran into some trouble with exceeding my bandwidth allowance. Read: too many people trying to access the site at one time. While that might sound like a great problem to have, it's not so great when the blog crashed because of it and people could not access the recipes they were looking for. If this happened to you, I'm sorry! But … because of the crash, I was forced to come up with a strategy to prevent the same thing from happening in the future. I'm super excited to share with you what I've done. Spoiler alert: it works, it's awesome, and it's super easy to do yourself. 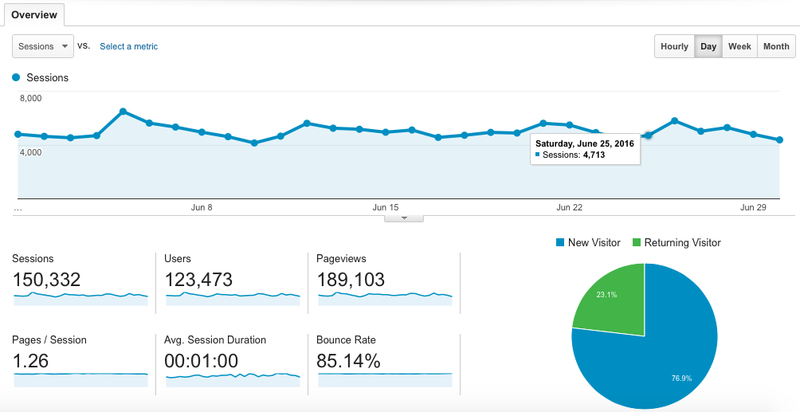 If you've been following along on these income reports, you'll probably notice a pretty steep drop in the number of pageviews this month. In the blogging world, summer is notorious for being slow. I like to think it's because everyone is outdoors, margarita in hand, soaking up the sun's warm rays. If you've also noticed a dip in numbers this month, don't panic. Come fall your peeps will start coming back. Image heavy websites (like this one!) tend to be very slow to load. After struggling with TEM going down a few times last month, using a CDN was recommended to be by my hosting company. Honestly, it is something I've thought of doing for a while, but was always too intimidated and thought the process of setting it up would be over my head. I was wrong. CDN stands for Content Delivery Network. It allows the content (images, etc) on your website to be delivered from a server closer to where the person is viewing it, rather than from where your hosting company is. For example, if I'm viewing TEM from Vancouver (which I am! ), the content will be delivered to me via one of my hosting company's data centers, which are located in either Virginia or California. But, if TEM is using a CDN, then the content will be delivered to me via the closest CDN data center, which happens to be in Vancouver. The CDN that I've chosen to use has 85 data centers around the world, so no matter where you are, you'll find that the site will load faster. 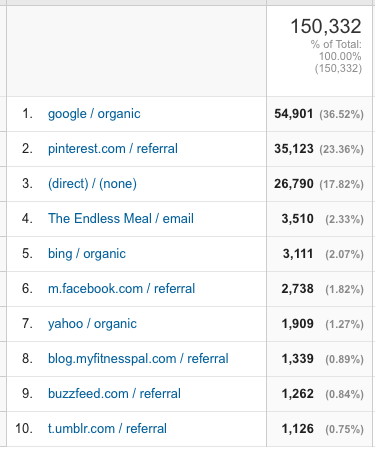 A CDN works by sending visitors (that's you!) a cached version of the page you are reading. Basically, all of the static information on a page – I'm pointing at you, slow loading images! – are being stored closer to where you are so you get to see them faster. Any of the dynamic, or changing, elements on the website continue to be delivered from my hosting company. 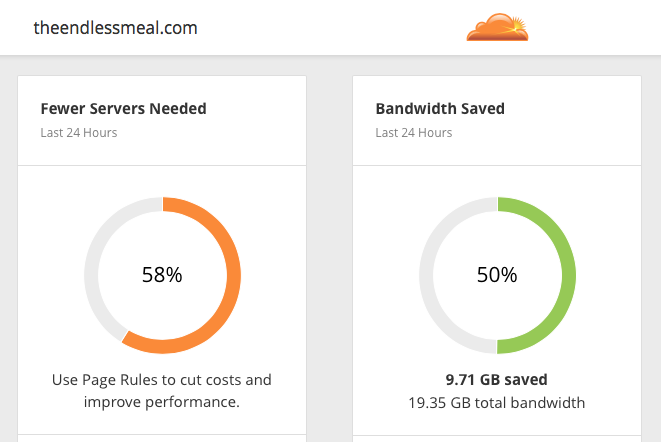 The CDN company I'm using for The Endless Meal is Cloudflare. They were recommended to me by my hosting company, and the 5-minute set up and free price tag won me over. 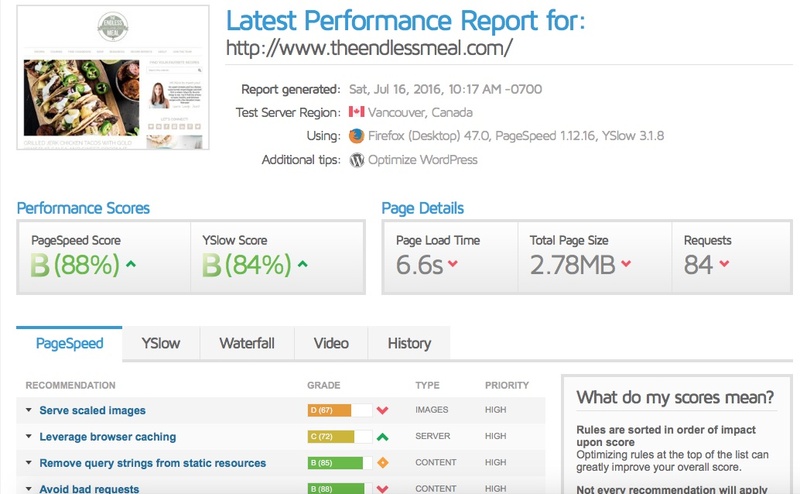 They brag that using their service will result in your website loading twice as fast. The results for The Endless Meal were even better. 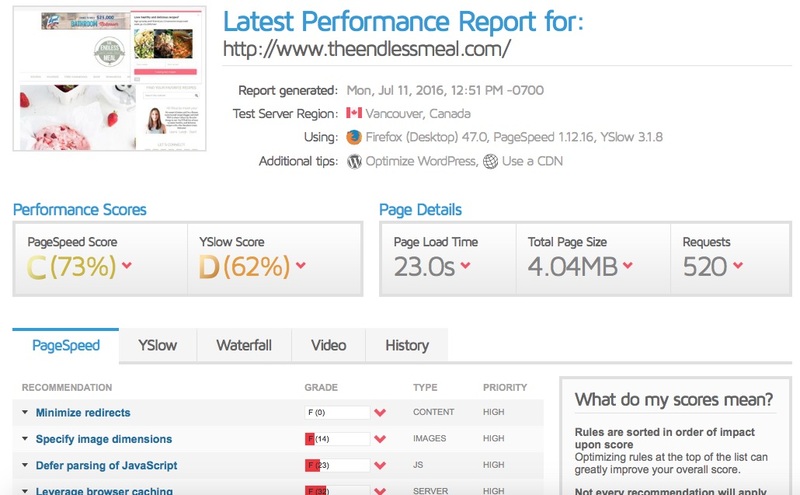 If you've been struggling with slow page load on your site, I can't recommend Cloudflare enough. It took me all of five minutes to set up by following their easy step-by-step instructions and the results are incredible. If you've stuck with it this far, thank you for being a part of this month's income report. If you have any questions, reach out in the comments section below.